This level has medium difficulty. 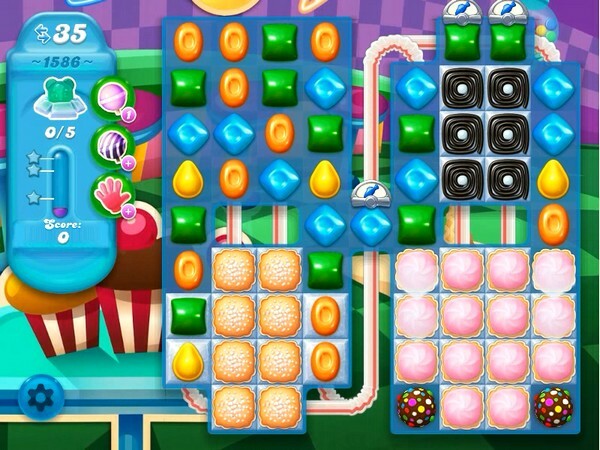 For this level try to make striped candy or any special candy. Combine special candies with each other or play near to snow blockers to break them all. I have only 25 moves while you have 35 moves. This is getting ridiculous. Every other level I’m been cheated more than 10 moves. Get your games in order before selling. Fix it. It’s not fun anymore. Having only 25 moves, instead of the 35, makes this episode frustrating! This happens too often!